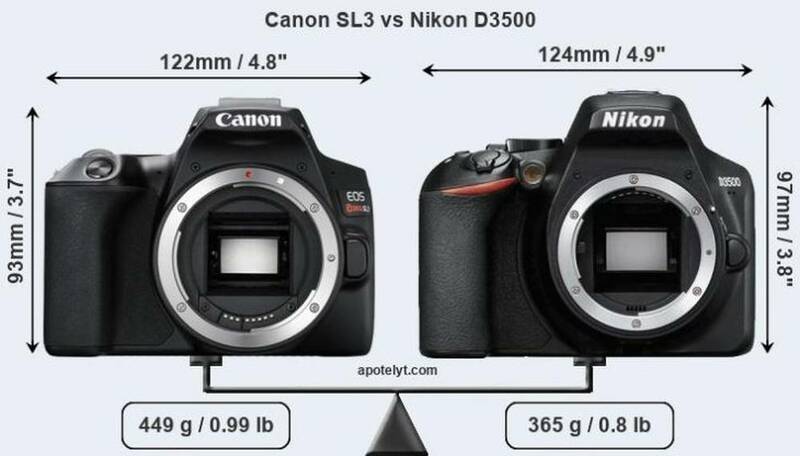 Read our detailed comparison of the Canon EOS Rebel SL3 vs Nikon D3500 to find out their strengths and weaknesses. Canon has introduced the EOS Rebel SL3 (EOS 250D) DSLR camera. The smallest and lightest entry-level DSLR uses the same 24MP APS-C CMOS sensor as its SL2 predecessor but adds a DIGIC 8 processor. With Canon’s new Rebel EOS SL3 just hitting dealers’ shelves, we’ve compared it against one of its main competitors – the Nikon D3500.